Hi Friends! In an effort to categorize the posts I share here with you, I've been launching a series of different blog categories. 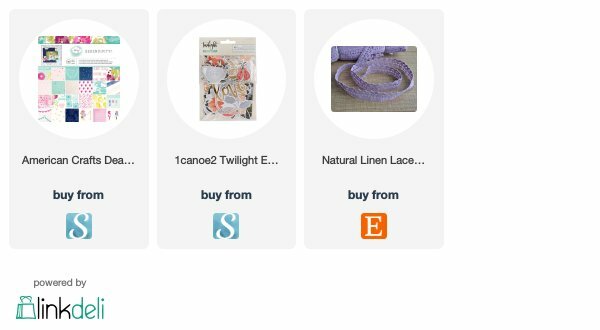 Today I'm adding yet another category that I think will be helpful to some! 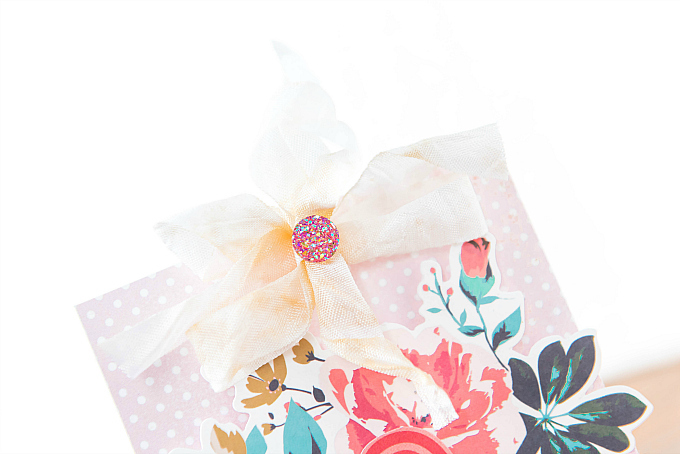 It's called Patterned Paper Play and it will be place I share all of the cards I create with beautiful patterns. Even though I've been much more inclined to stamping lately, paper will always be a love of mine, and I'll be sharing these cards with you from time to time! 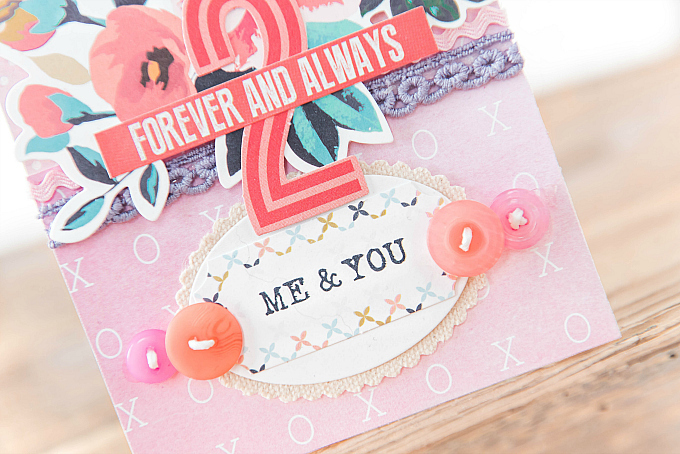 To start my little card today, I used a beautiful combo of base patterns - a polka dot and an xoxo paper from Dear Lizzy. I love these soft pinks - I guess you could even say they're pretty close to millennial pink - one of my favorite new neutrals. It really goes with everything! At the top of the card, I added a bow and a sparkly rhinestone. 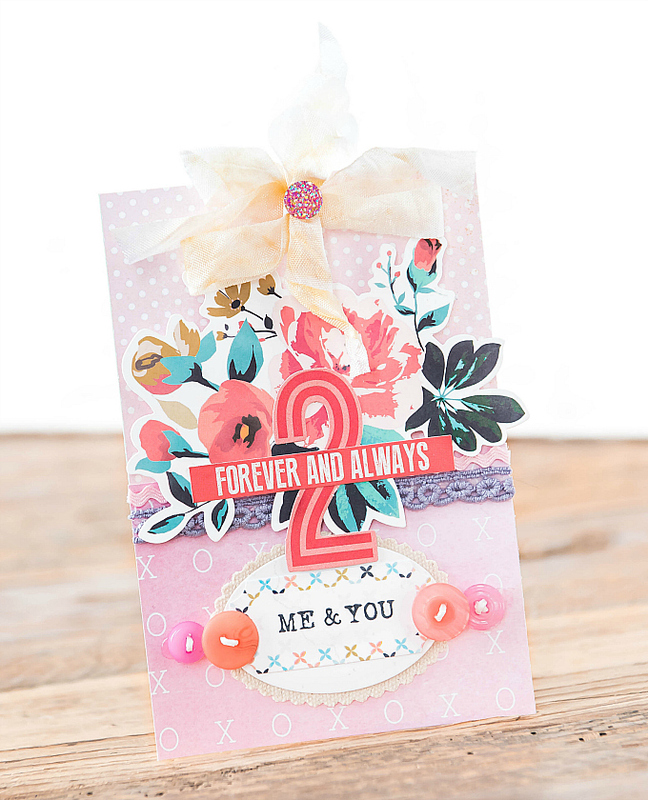 I added a floral cluster to the center of the card using these sweet floral diecuts from Kaisercraft (similar here). I also layered a part of my sentiment over top, and tucked in some rickrack and crocheted trim (similar here). At the bottom of the card, I added an oval base, along with a scalloped canvas mat, the sentiment ticket and a few buttons. I hope you enjoyed this quick post, and I'll see you back here tomorrow! Have some scrap papers lying around? Why not turn them into a quick and easy card? 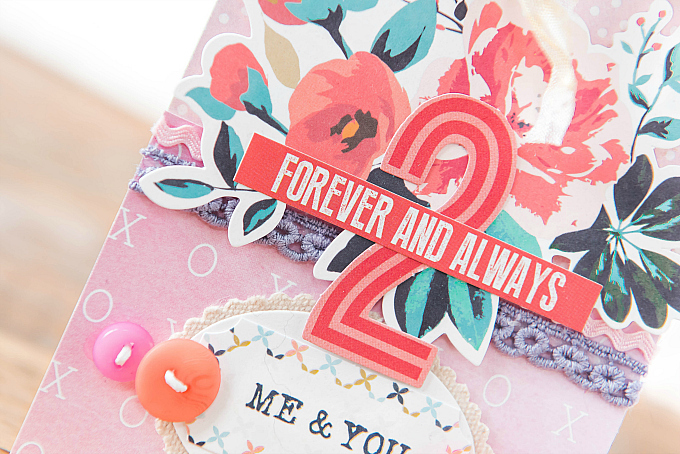 Lovely layers and colors Ivana, this is wonderful! Heaps of thanks, sweet friend! Hugs to you!